The unemployment rate for those with college degrees is sitting around 2.5 percent, according to a Bureau of Labor Statistics report from January 2017. That’s great news. It means that almost every graduate will have no trouble landing a first job out of college. But what kind of position will you land? A career that allows you to use the full range of your skill sets? Or a job that just pays the bills while you hunt for what you actually want? The answers to these questions depends on how you use your time while you’re still in college. 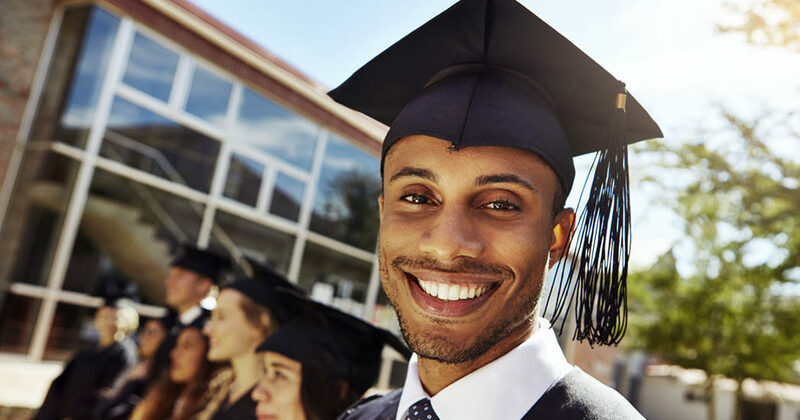 So, college students, let’s talk about a few things that you can do right now to give yourself a better chance of diving into the career you really want after graduation. It’s never too early to have a clear understanding of your qualifications, strengths, and weaknesses. Who knows when you’ll meet someone important or when a casual conversation will turn into an opportunity to pitch yourself, professionally. Build your resume now. Include any experiences you’ve had that have been valuable in preparing you for a career. Make a sample cover letter, laying out what it is that you bring to the table. You can fill in job-specific information in the future. Your elevator pitch is a short speech, 30 seconds or less, that describes who you are and why you would be a good fit for a job —almost like a verbal cover letter. Employers are relying on LinkedIn as a resource to find new talent more than ever. Be sure that your profile has all it needs to send the right message to employers who come across it. Check out TSG’s LinkedIn profile guide in the resources section. Getting ahead of the game, be it a resume, cover letter, or elevator pitch, means giving yourself an edge on your classmates. Once you’ve polished off these things, mark your calendar with upcoming career fairs at your school. Networking sounds like a word that just exists in minds and blog posts, but, practically, there are things you can do to be the best networker you can be. When you meet someone who you know could be a good professional connection, treat them similar to how you would treat an interviewer. This doesn’t mean run home and change into professional attire or constantly steer the conversation towards how great you are. Simply remember that their first impression of you is important. Mention a few experiences you’ve had that have grown you as a professional, if it fits in with the natural flow of the conversation. Ask them for a business card—it shows that you value their connection and want to nature the relationship (plus, you’ll actually be able to do the next thing). Follow up with them via email or letter. Tell them it was nice to meet them and mention that you’re looking for opportunities. You don’t have to be creepy or send them your resume with the “I NEED A JOB” in the subject line. A friendly follow up is enough to drop a hint. That professor was on to something. And while those of us whose dreams were to write for the New York Times or be a software engineer for Apple couldn’t literally start doing those things, nothing was stopping us from being a writer or being a software engineer. His point? Start doing what you want to do now, because even if it’s on a much smaller scale, you’ll still gain experience that will help you in the long run. Lucky for you, college campuses are usually great places to get hands-on experiences in almost any field—that is, if you know where to look. Utilize your school’s career services center. Check out clubs, fraternities/sororities, and other organizations at your school. Often times, there are positions within them which allow you to get experience applicable to your field of interest. Having trouble finding opportunities on campus? Consider seeking internships outside of school. Companies are always looking for young talent. You might not make a fortune, but internships help you gain more experience, boost your resume, and make connections within the industry. Also, consider applying for jobs before you graduate. Even if you get turned away, you’ll learn what employers are looking for and identify areas that need improvement. Check out some of these open positions at The Select Group for new college graduates. There’s no sure-fire equation or list of items you can check off that will guarantee you the job you want will be waiting when you walk across the stage. But, if you use the things listed above as a priority while you’re in college, you’ll give yourself an edge over other applicants and the best-possible chance to land a job you actually want. After all, getting a job in today’s world is about more than just what you know and who you know—it’s about doing both and doing them well. Our team members enjoy the perks of uncapped commissions, annual trips, phone and car allowances, world-class training, and health benefits. They wake up every day knowing they are building a future for themselves and others. Unlock your potential with The Select Group.